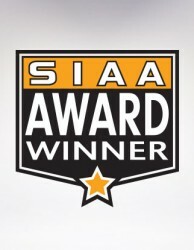 Marketing Communication Excellence - SIAA Award Winners • Lime Valley Advertising, Inc. The SIAA (Service Industry Advertising Awards) is a national competition that honors service industry providers for their contribution to marketing and advertising. This year judges reviewed over 1,700 entries from 500 agencies for execution, creativity, quality, consumer appeal and overall breakthrough. Lime Valley received eight SIAA awards for communication excellence this year. This is the twelfth year that the SIAA has recognized Lime Valley’s creative accomplishments in advertising. Over those twelve years Lime Valley has garnered 57 SIAA awards, more than any other agency in Minnesota. 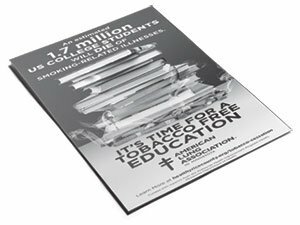 The American Lung Association in Minnesota enlisted the help of Lime Valley to develop an anti-smoking campaign targeting a specific Minnesota county and the colleges within that county. Lime Valley created poignant and direct ad concepts with an educational theme to deliver strong messages. 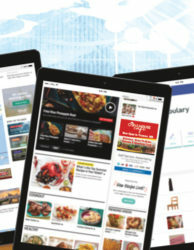 In addition to the newspaper ad, the media plan included the use of billboards, broadcast, and digital media. Lime Valley developed concepts that associated Minnesota pork producers and retail-ready, store-bought pork. The challenge was creating the connection between pork producers and pork products without crossing a line that would make the end user uneasy or uncomfortable with the idea of livestock as a food product. The solution was imagery and a headline that leave the reader feeling positive and confident in the product. 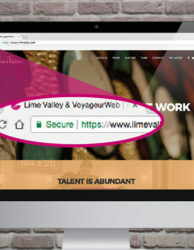 From a creative standpoint, the goal of the new website was to clearly reflect the culture, work ethic, and collective talent at Lime Valley. The overall design carried a very contemporary feel with larger photos, clear headlines, and sensible content. The pages and menu system were laid out to be easier to navigate and more straightforward with today’s best practices. Lime Valley worked directly with Learn, Work, Earn program administrators to create the collateral necessary to launch this new effort by MnAMP of producing a highly skilled workforce for the needs of the Minnesota manufacturing industry. 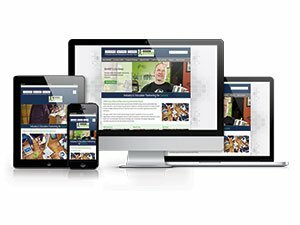 The Learn, Work, Earn website provides visitors a wealth of information about the program’s focus areas, along with educational pathways for potential students in each discipline. 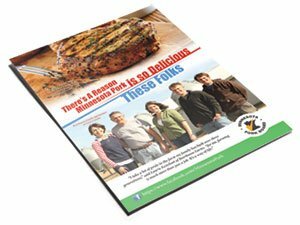 RCEF approached Lime Valley to design a brochure that would engage their target audiences with BizPitch. BizPitch is a high-quality program, so participants needed to connect with a high-quality piece. 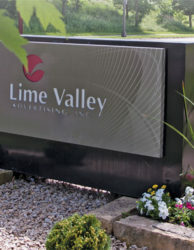 Lime Valley used a large size, unique binding, and specialty paper stock to provide that quality. 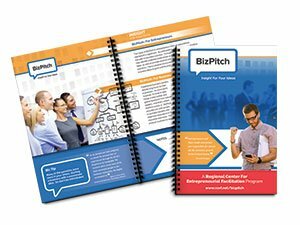 Additionally, the bright colors and highly designed pages lessen any reservations a prospective participant may have by making BizPitch look inviting, engaging, and fun. 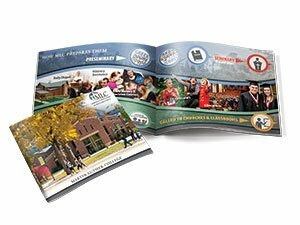 Lime Valley designed a casebook for Martin Luther College that serves as a face-to-face communication tool, outlining the college’s mission, vision, and outcomes of an education at the institution. Copy is well balanced with photos, illustrations, and infographics to create an accurate portrayal of the MLC experience. The piece also functions in cross-media marketing applications. Annual reports for organizations are often labor-intensive to produce and tedious to read. 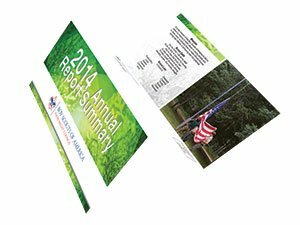 For the Twin Valley Council’s 2014 Annual Report, Lime Valley took the approach of summarizing significant events and statistics, and supporting that information with engaging visuals and design. By placing the report in a self-mailer format, the piece made the recipient more inclined to read it that moment rather than setting it aside for later. 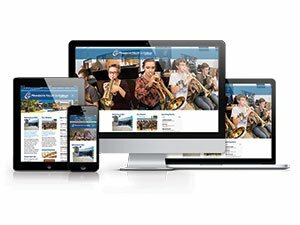 The challenge was to develop a website for Minnesota Valley Lutheran High School that showcases the school’s high-quality education and extracurricular activities. The site also needed to be compatible with third-party plugins for calendars, teachers’ resources, and a student portal. 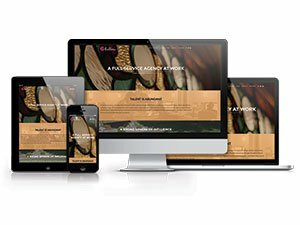 Lime Valley delivered a visually appealing and functional website solution. After initial development, the site can be edited and maintained by the client.